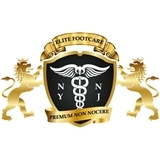 Elite Foot Care NYNJ (New York) - Book Appointment Online! Conservative options are always explored first. I try to avoid using medication as first line of treatment and use techniques which let your own body heal naturally.